Whose bright idea was it to bring back Lethal Weapon? As a TV show. I’ve tried the original films lately, but I couldn’t make it. In retrospect, they are amazingly shallow. Yes, granted, it created a lot of the tropes for buddy cop movies today, but the characters feel very two dimensional, the plots feel contrived, the fights are poorly .choreographed, and their decision making process is poorly thought out. In shrot, the original moves are very dated, and not in the “Let’s watch Commando because it’s an insane 80s action film” sort of way. I still watch Commando. It’s a fun, insane, 80s action film. So, a TV show? What were they thinking? They were thinking that they could do better. 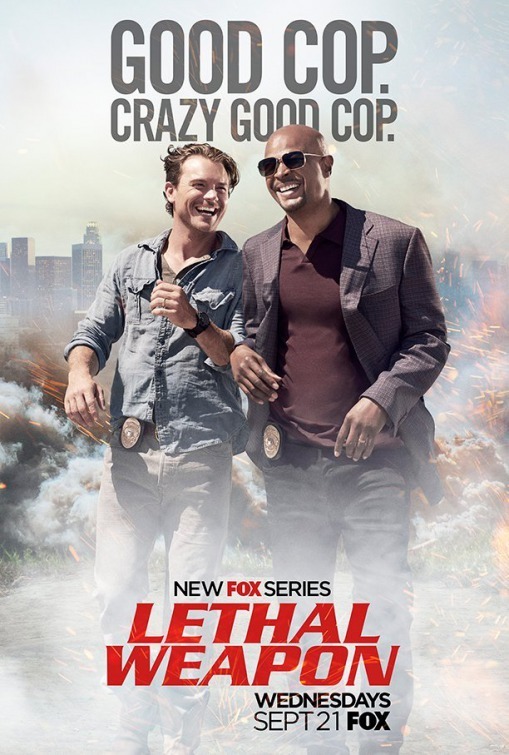 Our pilot starts with Martin Riggs, Texas cop, and .ex-SEAL In the middle of a chase, he gets a call from his pregnant wife, who’s heading to the hospital to give birth to their first child. He stops, pulls out a sniper rifle, shoots the car he’s pursuing, and drives straight for the hospital, leaving the backup to clear up the mess. And then we see his wife’s car get t-boned by a truck. The first three minutes were more gut wrenching than the entire Lethal Weapon franchise; they even leave a mark weeks later — on the characters and the audience. As Riggs watches a “happy couple” commercial in episode 3, the viewers get a heart-twisting sensation …. right before Riggs shoots the TV. Perfectly reasonable and natural lines of dialogue can stab you in the heart. Even the introduction of Riggs to Murtaugh is truer to the flavor of the series than the original film. During a bank robbery in progress, Riggs goes in, delivering a pizza. Riggs then suggests that the bank robbers shoot a hostage, and offers up himself. He proceeds to kill all the bank robbers, including one with an explosive vest and a dead man’s switch. He walks out of the bank, shakes Murtaugh’s hand right before the bank explodes. Not only does episode two list the dollar value of property damage left behind, they were constantly referred to as Starsky and Hutch, or Cagney and Lacy, and a few other nicknames. The writers not only have the flavor of what the original Lethal Weapon was, but improved all the areas the films lacked. As far as the acting? I didn’t know a Wayans brothers could act. He makes a better Murtaugh than Danny Glover ever did. This Murtaugh has recently had a minor heart attack, and needs to avoid stress … enter Martin Riggs. There are also plenty of nice little gags with Murtaugh’s heart rate monitor that were stolen from the heart monitory put on the incredible Hulk. Clayne Crawford as Riggs is surprisingly good. I’ve actually liked him since his appearance on Leverage as “Quinn.” He’s a surprisingly good actor. His Riggs is 1) More insane than Mel Gibson’s ever was, and 2) more tragic. It’s all fun and games, car wrecks and gun fights …. until Riggs volunteers to get killed to save Murtaugh from a sniper, or promises Mrs. Murtaugh that her husband will come home, and you get the sense that Murtaugh will come home, even if it’s over Riggs’ dead body. 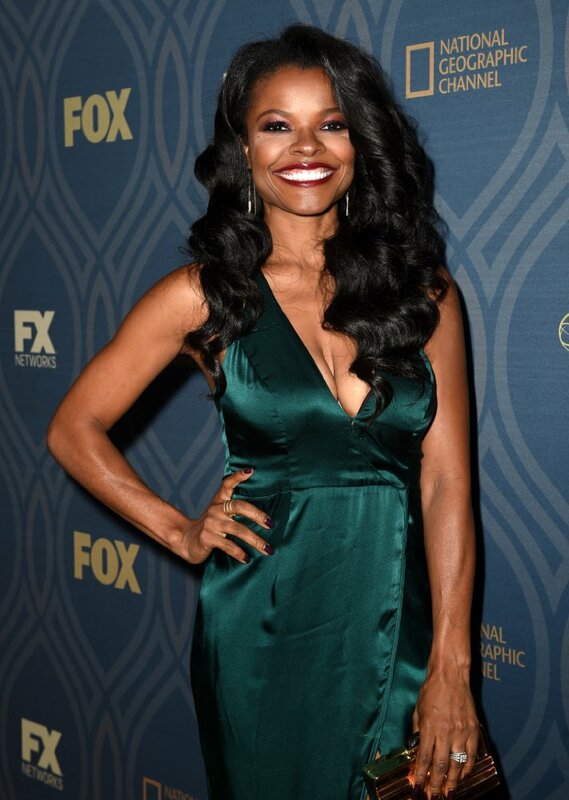 Major credit goes to Keesha Sharp as Mrs. Trish Murtaugh. She is charming, savvy, and fairly glows on the screen. The Murtaughs have a solid, Nick and Nora Charles relationship, where, “Gee. Yes. Married couples still flirt with each other.” They’re adorable. Also, her interactions with Riggs are interesting, going from “just making sure he’s fed,” to serious discussions of “Bring my husband back alive.” Trish’s scenes with Riggs are some of the better dramatic interactions on the show, on par with the few scenes Riggs has with the department psychologist (played by Jordana Brewster). I will be interested in seeing an episode with Trish and the shrink in the same room together. That would be interesting. Surprisingly enough, the minor characters have great moments. Riggs’ shrink, their Captain, Murtaugh’s kids, and even the coroner all have personality and solid character. Even the guest star Ted Levine (Monk, Silence of the Lambs) had a star turn as Murtaugh’s TO. Even Tony Plana, who plays the DA, leaves a lot of impact on the screen, even though he’s only had five minutes over the course of three episodes. The writing for this show is impressive. They’ve got a great sense of LA culture, and they have a lot of fun laughing at it. It’s like good episodes of CSI: NY, where they both grasped key concepts of local culture, and made fun of it at the same time (EG: The Westminster Dog Show). The writers do a great job of setting up threats, and having touching and insane moments at the same time. For example, they make it clear that a victim had been tortured by a cattle prod. Murtaugh notes that the voltage is worse than a defibrillator. The ME concurs, and notes “You have a pace maker, right? Do not get zapped by one of these.” So, of course, Murtaugh has to face down against the cattle prod wielding killer, without his gun. Riggs jumps on top of the perp, and takes the cattle prod to the body. This is a great partner moment, right? Touching, as he takes the shock meant for his partner? It also qualifies as totally insane: as Riggs is laughing as he’s being shocked. I told you this Riggs was more insane than in the films. I’m three episodes in, and I want to buy the entire series. Give this show five out of five stars. If you’re going to see a new series this season, watch this one. 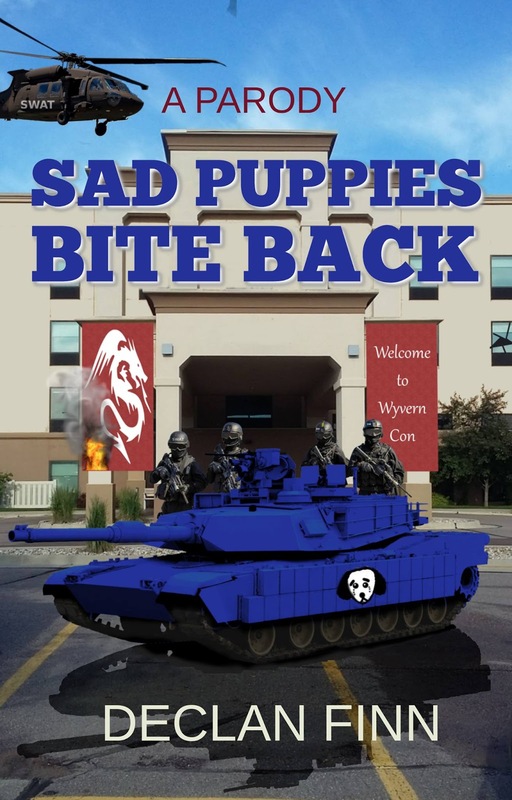 Speaking of insanity, there’s always my novel Sad Puppies Bite Back. It’s heavy on the insane. This entry was posted in Reviews and tagged television. Bookmark the permalink.